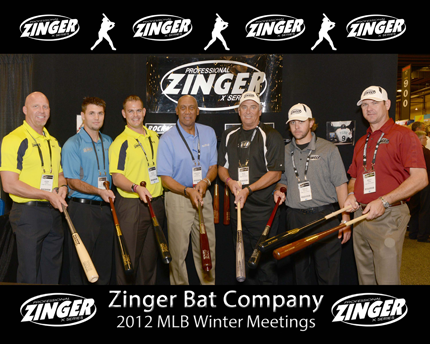 Zinger Bats was back at the 2012 MLB Winter Meetings in Nashville on December 4th - 6th. This marked the first Winter since the move to Arizona - and also was the first Winter Meetings for the new owners. We had a group of 8 of us there representing the company. Thanks to everyone from Arizona that went - and to the Eastman family for making the trip! Overall it was a great experience and I believe we made a strong showing. Everyone there realized that ... WE ARE BACK!